Here is my next 3D piece on sale! 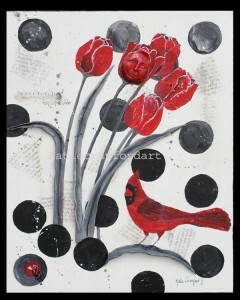 This piece is painted with acrylic and the face on the tulip is sculpted from polymer clay. It was $325.00 and is now on sale for $162.50. Framed in a black frame with black matting.